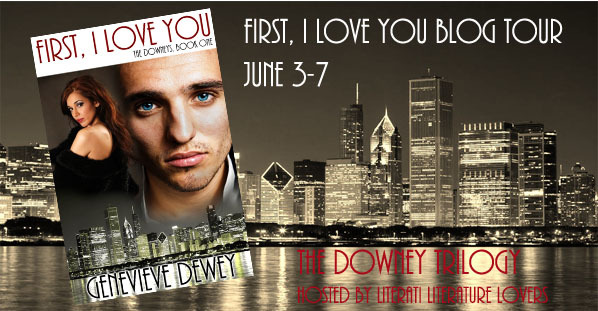 Rose's Food & Book Blog: First I Love You and Second of All by Genevieve Dewey Blog Tour: Interview, Review, & Giveaway! First I Love You and Second of All by Genevieve Dewey Blog Tour: Interview, Review, & Giveaway! 1. Is there a question you'd love someone to ask you, but they haven't? If so, what is it, and how would you answer it? Hmmn, I’ve been asked this before and it’s still tough to answer. I think I wouldn’t mind someone like Jason Isaacs for Mickey because he can play both that ruthless and cold aspect and a softer, gentler aspect he has with Mary and young Tommy. James, I wouldn’t mind Taylor Kinney, he’s soft on the eyes and would have the arrogance down for sure. I often picture the blond FBI agent from Criminal Minds when I think of Ginny, but I haven’t really watched the show to know if the personalities match. Kiki and Tommy are tough. I really don’t have anyone in mind for Kiki, just so long as she is beautiful and spunky. I could see Jay Ryan from Beauty and the Beast playing Tommy. Mary, hmmnn, in my mind she has a heart shaped face like Ginnifer Goodwin, but will auburn hair, of course. This review is for the first book First, I Love You, the copy was provided for an honest review. Sometimes when I sit down to read a book I think to myself this is never going to work there is no way I am going to be able to stay awake and read this story. I thought that would be the case with First, I Love You. This book is not told from on person's point of view or two people's points of view... but a total of six different people. At first I couldn't figure out what all these people have in common you have Tommy Gates a detective, his mother Mary Gates, his father Michael "Mickey" Downey, half sister and daughter to Mickey Downey Kiki, and two FBI agents Ginny and James. I was like say what now??? I thought for sure that this was going to be a story about how a father abandoned his son who he had with his mistress Mary Gates who also happened to be a gangster and her son turned into a detective to bust his own father. But I was surprised to find that this story was so much more than that. This story had a bit of everything, gangsters, special agents, a daughter who appears to be a mod daughter/princess, a human trafficking ring, a son searching for a way to connect with the father that he never had in his life but never stopped loving him, and the best part? You don't get to see one love interest story develop here but three!!! In any other book I would have had to buy three different books just to get the three stories I got in this one it was like a three for one special. I don't want to give anything away about the book (since I have a tendency to start rambling and then give away too much...) but let me say that this story intrigued me enough to WANT to read the second book. I've never seen anything done like this book before and I thoroughly enjoyed it unable to put it down and reading the entire night until I was done with it. The story may have been told from multiple points of view but all the characters were connected to one another and it made the story work. I look forward to reading the second book and learning where these characters go with their stories and especially what happens with Mary and Mickey, I give it four stars! I did enjoy it and also thank you for allowing me to read the second book. 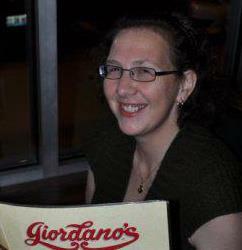 I talked to Michelle and I will be posting my review for book 2 next Monday!